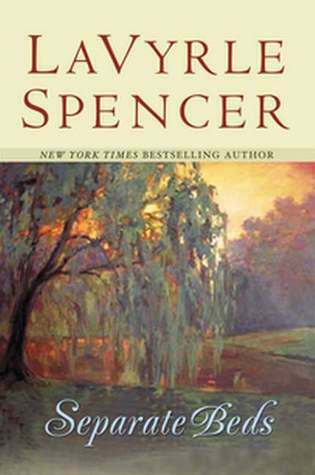 Readers have long flocked to the works of LaVyrle Spencer, one of America's most cherished storytellers. From The Fulfillment to Morning Glory to Then Came Heaven, her touching, emotionally charged novels have examined love in all its forms. In Separate Beds, two attractive, headstrong people meet - and fireworks ensue. Catherine Anderson and Clay Forrester come from two completely different worlds, but one blind date leaves them forever linked. Clay, a handsome law student, and Catherine, a serious, bookish undergrad, experience an evening they will never forget. Fortified by the beauty of the night, as well as a bottle of wine, they share a night together. A few short months later, Catherine discovers she's pregnant. They agree to a marriage of convenience, an arrangement that suits them both - until they begin to fall in love. Moving and deeply affecting, Separate Beds is a celebration of the healing power of love. Good story, the reader really gets pulled in to the emotional strains and family dynamics. The narrator was a distraction, the voices didn't flow well, the listener could hear the narrator taking breaths and swallowing. The Spanish accent was good however.